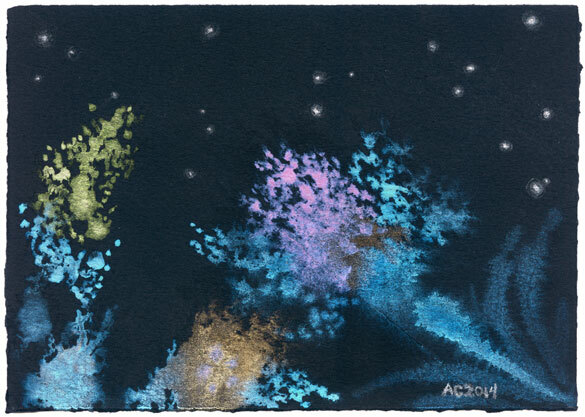 Three flowers shine under the midnight sky full of silver stars or, as one person suggested, floating fireflies. The flowers change colors depending on the angle, pink to purple for the thistle, gold to green for the amaranth and gold to a richer orange-gold for the little wildflower down at the bottom, with the greenery going softly blue like moonlit leaves at some angles. Gorgeous and ethereal, this painting makes the flowers seem ghostly as the bloom out of their normal cycle, bright against the blackness of the paper. 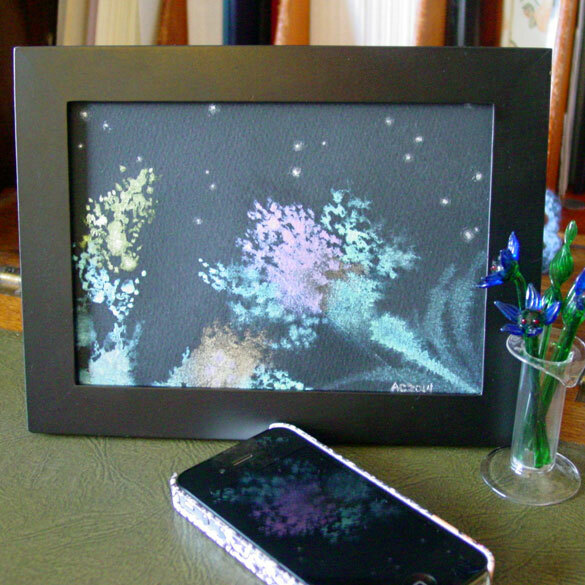 Night Blooming, 7″x5″ duochrome watercolor on Arches cover black paper. 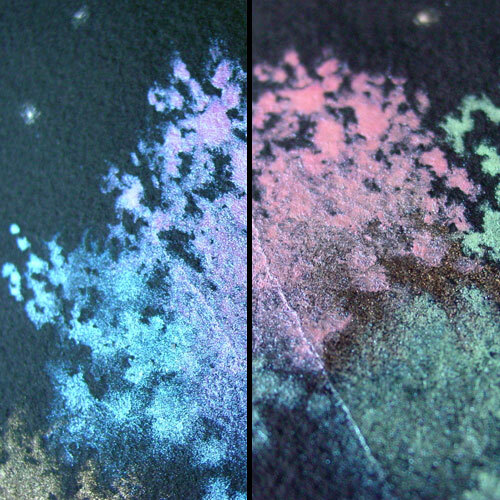 Above, you can see the thistle from two angles, purple-blue as it catches the sunlight on the left, and pink and green on the right under more normal lighting. Below, you can see the piece in a frame, with a few more eternally blooming flowers from my bookshelf for company.